The U.S. Food and Drug Administration has unveiled yet another guidance document outlining the information that needs to be reported to the FDA. This document covers timing, formatting and a new method for reporting via an online portal. The reporting aspect to the Drug Quality and Security Act (DQSA) as it relates the wholesalers and third-party logistics providers is solely based on licensing of any facility that handles or stores pharmaceutical products, not product tracing. There is no requirement for 3PLs to trace or report product information. From Nov. 27, 2014, to March 31, 2015, 3PLs must report licensure (state licensure included if applicable) information for each facility and provide the name/address of each facility to the FDA. After the first year, the reporting requirement must be done on an annual basis, from Jan. 1 to March 31. Third-party logistics providers are considered to be licensed until the licensing rules are issued by Nov. 27, 2015, and go into effect by Nov. 27, 2016. Right now, a 3PL may not have information to report to FDA about specificstate licensure unless asState has a 3PL licensing program. Florida and California are the only states with a licensing program or that will have a licensing program by Jan. 1. However, 3PLs are still required toreport facility location, contact information, and company information to the FDA by March 31, 2015. As a measure of enforcement, all authorized wholesale distributors and 3PLs will be listed publicly on the FDA website through the reporting requirement. The FDA also requests reporting of significant disciplinary actions as well. These actions include license revocations, suspensions or any other applicable actions. Any state or federal disciplinary action made to either wholesale distributors or 3PLs must be reported within 30 days to the FDA. 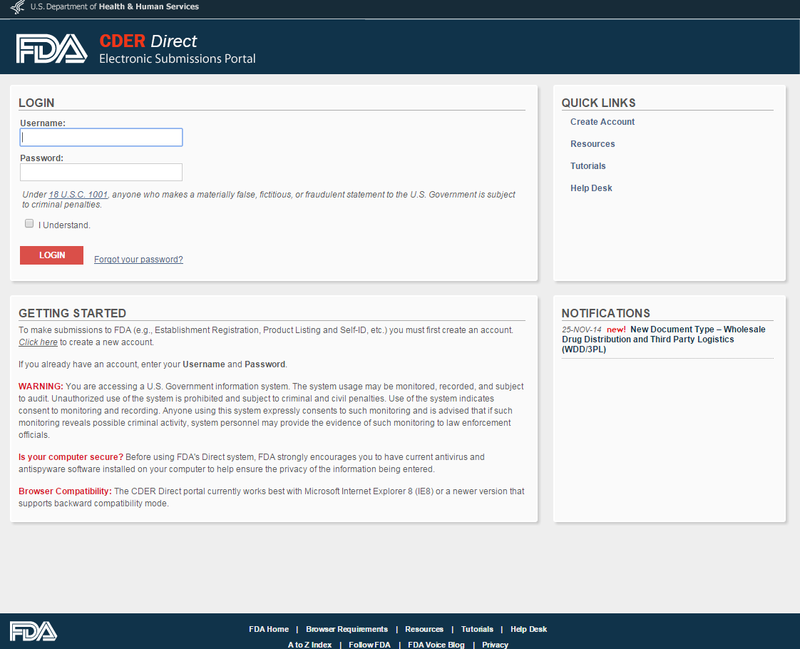 The FDA created portal for 3PLs to report licensing information known as CDER Direct Electronic Submissions Portal. Each company can report on multiple facilities from a single account. Information reported through the portal, including disciplinary action will be publicized on the FDA website. Want more information? The FDA will offer a webinar covering this guidance and annual reporting requirements on Dec. 16, 2014. The webinar will be available via the CDER SBIA web page.